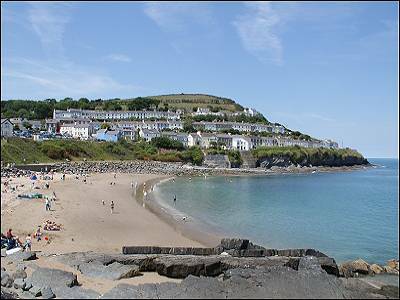 Willerby Winchester luxury caravan, Ocean Heights, New Quay. 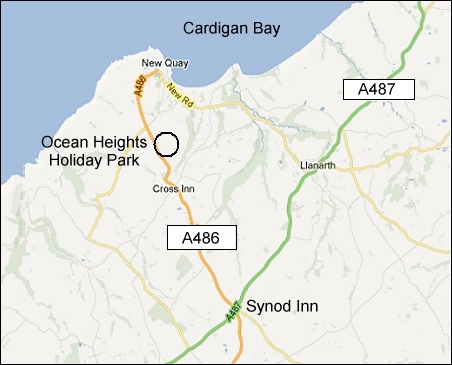 This Luxury centrally heated and double glazed Willerby Winchester Caravan is located at Ocean Heights Holiday Park just a few minutes drive from New Quay. 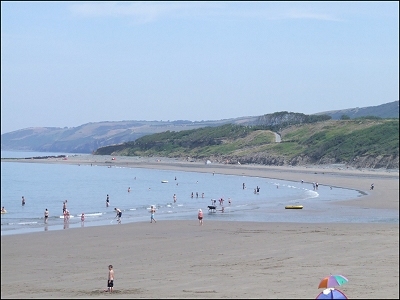 There are sea views across the park to Cardigan Bay and the Lleyn Peninsula, Snowdonia and Cader Idris from the new deck at the front of the caravan (not in the photo below). 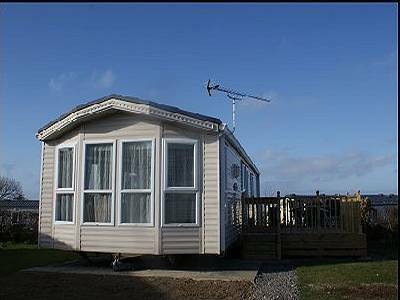 This well equipped and spacious 2 bedroom caravan sleeps up to six with a sofa bed. 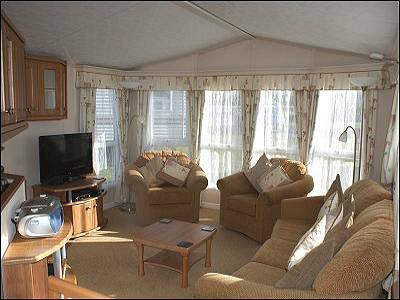 There is WiFi available inside the caravan for a small additional fee. Regret no pets. The comfortable lounge has a three piece free-standing suite and new 32 inch LCD TV with DVD, and a selection of DVDs. 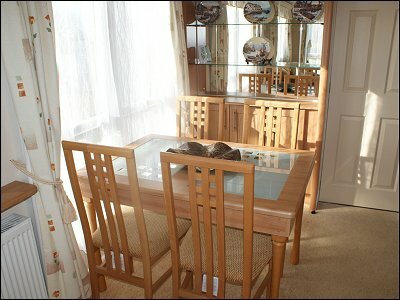 The dining table seats 4/6 . 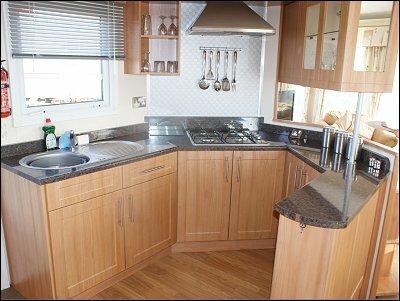 There is a well equipped kitchen with full sized gas hob and a wall mounted oven with grill, also a microwave, full sized integrated fridge and freezer, as well as all the usual small appliances, crockery, cutlery, glasses and kitchen ware. The owner provides essential cleaning supplies. 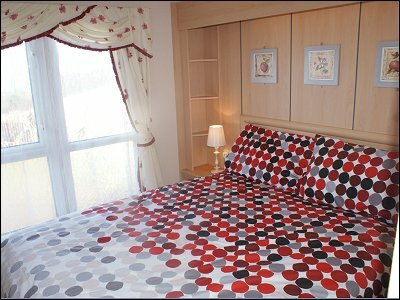 The double bedroom has a 19" flat screen TV and an ensuite shower room with WC and basin and has good storage. 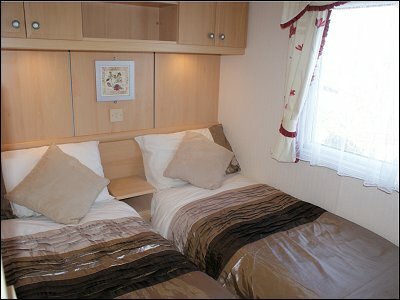 The twin room has both under bed and overhead storage space. There is also a family shower room plus WC and basin. Radiators are throughout the caravan. The timber deck at the side is fully enclosed and gated. 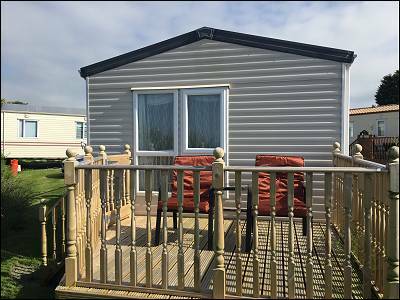 There is a second timber deck at the end of the caravan. 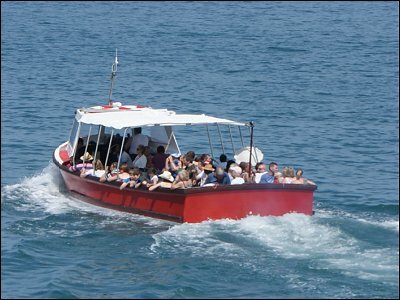 The caravan and main deck is accessed from the parking area by 3 steps. Duvets and pillows provided , but bed linen is not provided. Off-road parking beside the caravan for one car.